New Tsum Tsum Short - Fireworks! 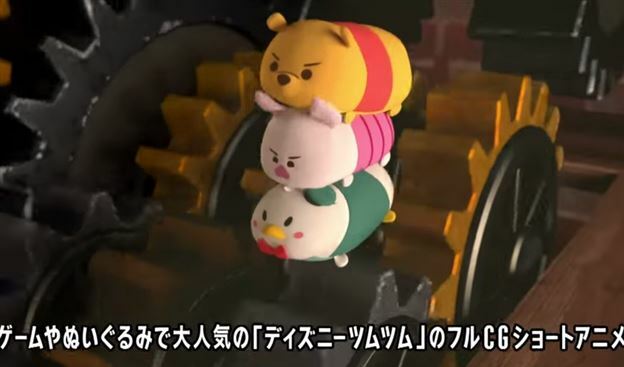 A new Tsum Tsum short has been released! 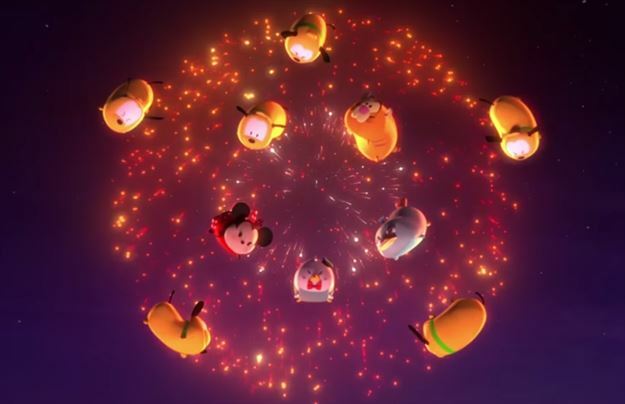 In this short the Tsums are inspired by a fireworks display to create their own show! 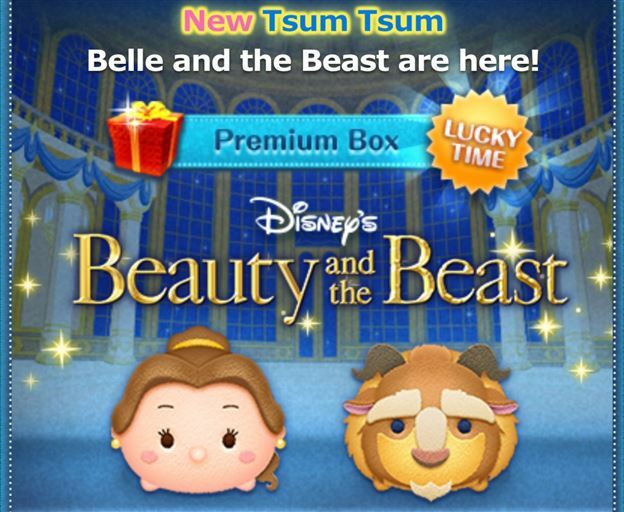 Today Belle and Beast from Beauty and the Beast were added to the International version of the game! 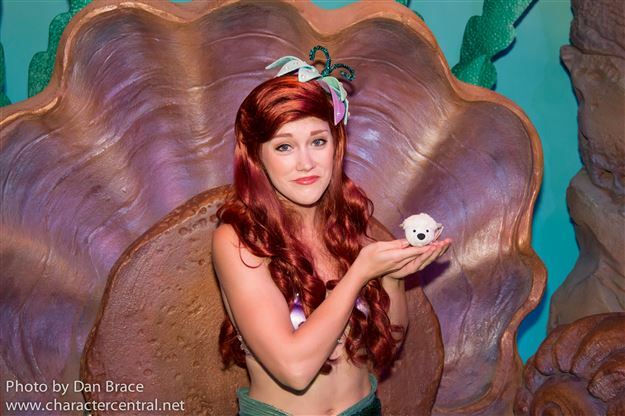 The Tsum Tsums Visit Walt Disney World! The Tsums took a trip to Walt Disney World in Florida. Happy Tsum Tsum Tuesday! Inside Out Released! Next Month Lilo and Stitch!!! Today is Tsum Tsum Tuesday! 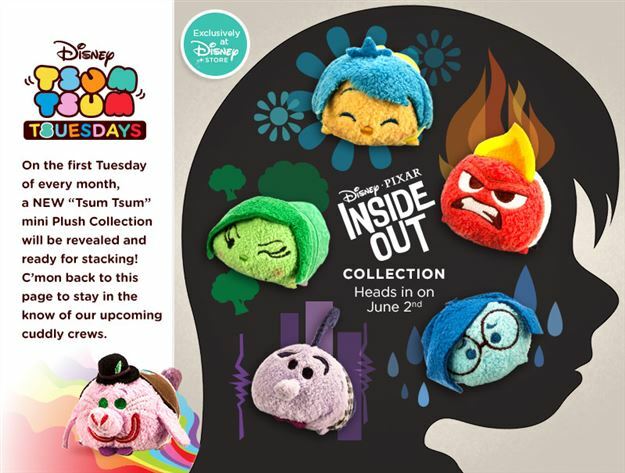 Inside Out Tsums are now available!!! Next month is Lilo & Stitch!! 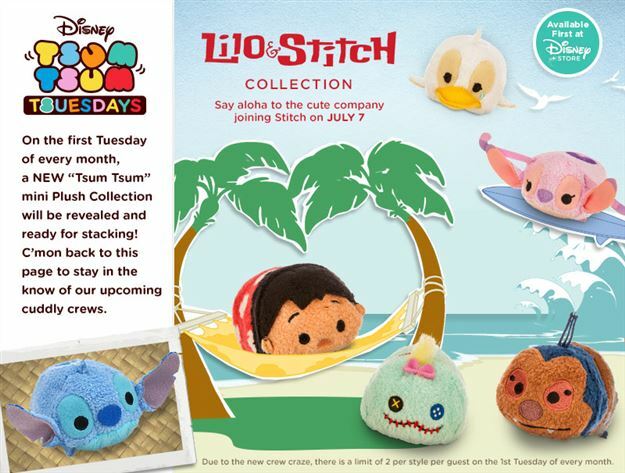 It looks like Japan isn't the only place getting Lilo and Stitch Tsum Tsums soon! Tsum Tsum Shorts Episode 5 and 6 now available! The 5th and 6th episodes of the Tsum Tsum shorts has now been posted on YouTube! There have been a few bits of Tsum Tsum plush news trickling out recently so check it all out here! Bingo Cards 3 and 4 Added to the Game! 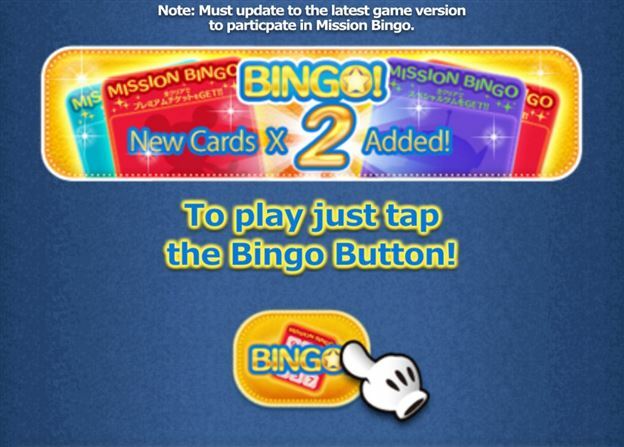 The international version of the game has been updated to add Bingo Cards 3 & 4! 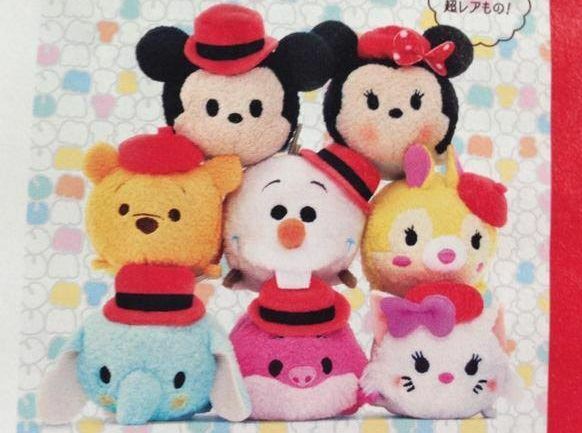 Sneak Peek at next month's Tsum Tsums! It has been rumored for awhile and based on this image it appears to be confirmed that June's Tsum Tsums will be Inside Out!